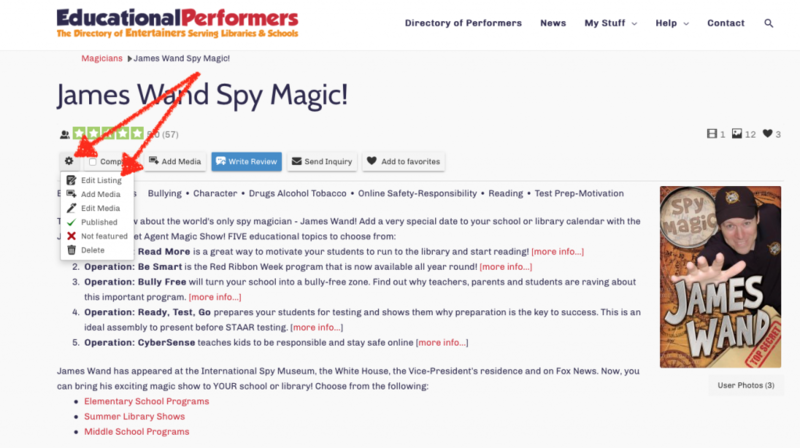 Thank you for being a member of educationalperformers.org! 4. To change the main photo, click on “Edit Media” and then click the star next to the photo you want to use as your main photo. 5. Email me if you have any problems!